ESSE CHANGE WEEKEND EDITION은 5종의 한정판으로 제작되었습니다. ‘평범한 일상을 벗어나 상쾌한 체인지와 함께 즐기는 활기찬 휴일’이라는 컨셉으로 각각 바이크, 패러글라이딩, 락, 스케이트보드, 클라이밍을 테마로 풀어내 익스트림하고 쾌활한 느낌을 나타냈습니다. 남성적이며 역동적인 컨셉을 극대화 하기 위해 무게감이 있는 볼드한 고딕형태의 타이포그라피와 긴장감이 느껴지는 인물의 액션에 중점을 두어 화려하고 역동적인 구도를 기획했습니다. 원색 컬러감을 활용해 젊고 스포티한 느낌을 부각시키고 속도감있는 라인을 배경의 반복요소로 넣음으로써 익스트림한 디자인을 표현했습니다. ESSE CHANGE WEEKEND EDITION is produced into 5 limited editions. The concept of “lively holiday with a refreshing change aside from a normal daily life” is expressed with an extreme and cheerful sense through the theme of biking, paragliding, rock, skate boarding and climbing. In order to maximize the masculine and dynamic concept, a dynamic style composition was planned through emphasis on bold gothic typographic and the action of a figure which demonstrates tension. Extreme colors were used to highlight the sense of youth and sportiness and extreme designs were expressed through zoomy lines as a repetitive element of the background. SK브로드밴드가 ‘B tv’ 개편과 키즈 콘텐츠 ‘살아있는 동화’ 출시를 통해 홈미디어 시장 강화에 본격적으로 뛰어들었다. 이로써 KT와 LG유플러스를 포함한 통신 3사 모두 홈미디어 시장 강화에 나선 셈이 됐다. SK브로드밴드는 7일 오전 서울 중구 SK텔레콤 본사 수펙스홀에서 기자간담회를 열고 이같은 내용이 담긴 미디어사업에 대한 전략방향을 밝혔다. 먼저 선보인건 B tv 개편이다. 인터넷(IP) TV 맞춤형 홈화면 기능 추가로 집마다 취향에 맞는 홈화면을 다르게 볼 수 있다. 5년간 쌓인 고객의 미디어 이용 데이터에 근거해 효율적으로 콘텐츠를 추천한다. 김혁 SK브로드밴드 미디어사업본부장은 “궁극적으로 B tv의 460만 고객마다 모두 다른 460만개의 홈화면을 제공하는 게 목표”라고 설명했다. 예를 들어 실시간 야구를 좋아하는 고객의 홈화면에 야구중계 화면을 띄워주는 식이다. 도입부 건너뛰기·시청 중 자막 변경 같은 기능도 추가했다. 영화 콘텐츠 소개시 씨네21·왓챠 같은 영화 전문 매체를 통한 외부 평점과 전문가 감상평도 제공한다.B tv 개편에 이어 키즈 콘텐츠 ‘살아있는 동화’ 서비스도 내놨다. 살아있는 동화는 3~7세 대상 아이의 얼굴·목소리·그림을 담아 나만의 TV 동화책을 만드는 서비스다. ‘3D 안면인식 기술’과 ‘실시간 표정 자동 생성 기술’이 적용돼 동화 속 캐릭터의 얼굴을 아이의 얼굴로 바꿀 수 있다. 예를 들어 아이가 자신의 얼굴을 스마트폰 전용 앱으로 찍어 TV로 보내면 동화 속 주인공의 얼굴이 아이의 얼굴로 바뀐다. 총 20가지 이상의 다양한 표정 구현도 가능하다. SK브로드밴드 측은 “기술 구현을 위해 SK텔레콤의 증강현실·가상현실 기술을 적용했다”고 설명했다.자신이 그린 그림을 TV 화면 속 동화에 구현해 구경할 수도 있다. 또 동화 속 주요 문장을 아이의 목소리로 표현할 수 있게 하는 ‘말하기’ 서비스도 제공한다. 예를 들어 아이가 “어흥, 떡 주면 안 잡아먹지”라는 동화 속 호랑이의 대사를 따라하면 TV에서 동화를 읽어줄 때 아이의 목소리가 나오는 식이다. SK브로드밴드 측은 “유아교육 전문가와 함께 한솔교육 전집을 비롯한 다양한 출판사들의 베스트셀러 250여편을 엄선해 11가지 생활주제와 연령별 단계에 맞는 커리큘럼을 제공할 예정”이라고 설명했다. 주선영 SK브로드밴드 애니메이션 담당 매니저는 “굳이 이곳저곳을 찾아보지 않아도 커리큘럼을 통해 쉽게 아이의 단계에 맞는 동화책을 찾을 수 있다”고 설명했다. B tv 키즈 독점 서비스 ‘영어쑥쑥’ 코너를 통해 아이들에게 글로벌 키즈 영어교육 콘텐츠 1200여편도 제공한다. 아이를 포함한 부모님 세대를 위한 시니어 메뉴도 오픈한다. 60대 전후의 시니어 고객을 위해 건강이나 취미 같은 전용 콘텐츠 추천과 라이프스타일과 연계한 홈트레이닝·여행지 추천 서비스도 제공한다. 온 가족이 함께 즐길 수 있는 노래방 서비스 ‘에브리싱TV’도 선보인다. 에브리싱TV는 SM엔터테인먼트의 노래방 앱 ‘에브리싱’을 IPTV로 확장시킨 서비스다. 매일 업데이트 되는 신곡을 IPTV 서비스를 통해 부를 수 있다. 따로 사용하는 마이크를 연동해 사용할 수도 있다. 이 같은 서비스들은 16일부터 셋톱박스별로 순차적 업데이트가 진행될 예정이다. Through the reorganization of SK Broadband ‘B TV’ and introduction of Kids Content ‘Live Fairy Tales’, we have began to strengthen the market of home media in earnest. As a result, this meant that all three telecom companies, including KT and LG U+, have started to strengthen the home media market. SK Broadband has held a press conference at the Supex Hall of the SK Telecom Headquarters, located in Jung-gu, Seoul, in the morning of the 7th. Strategic directions about the media business including such contents were announced at the conference. The reorganization of B tv was initially presented. Due to the addition of customized home screen function for Internet (IP) TV, all households are now capable of differently setting their home screens to suit their taste. We effectively recommend contents based on the data about the media use of customers that we have accumulated over the past five years. Kim Hyuk, the director of the media division of SK Broadband explained that, “the ultimate objective of this project is to provide 4.6 million different home screens to 4.6 million customers of B tv”. For example, it is the concept of broadcasting baseball games on the home screens of customers who enjoy real-time baseball. Functions such as skipping introduction/ change of subtitles while watching were added. When introducing movie contents, external ratings and review of specialists through movie specializing media such as Cine 21/ WATCHA is provided. In addition to the reorganization of B tv, Kids Content ‘Live Fairy Tales’ was introduced. The Live Fairy Tale is a service targeting children of ages three to seven, which allows children to make their own TV story book with their own face/voice/drawing. The faces of a fairy tale characters can be changed into the faces of the children due to the application of “3D facial recognition technology” and “real-time facial expression automatic creation technology”. For example, if the child transfers the picture of his/her face that he/she has taken with the exclusive smart phone application to the TV, the faces of the characters in the fairy tale changes into the child’s face. A total of more than 20 diverse facial expressions can be realized. SK Broadband explained that, “augmented reality/ virtual reality technology of SK telecom has been applied for technology implementation”. Children can also watch the pictures that they have drawn through the TV screen in the fairy tale. In addition, it provides a ‘talk’ service that allows children to express the main sentences of the fairy tale with their own voices. For example, if the child imitates the dialogue of the tiger in the fairy tale; “Rawr, I won’t eat you if you give me the rice cake”, the child’s voice will come out of the TV when the fairy tale is being read out loud. SK Broadband explained that, “We plan on providing 250 curriculums appropriate for the 11 types of lifestyle topics and the stages of each age group by carefully selecting 250 best sellers of diverse publishing companies, including the complete collection of Hansol Education, together with preschool education specialists”. Joo Seon-yeong, the animation duty manager of SK Broadband explained that, “We can easily find fairy tale books appropriate for the stages of the children through the curriculum without having to searching here and there”. Exclusive service of B tv Kids also provide 1200 global kids English education contents for children through the ‘English Seouk Seouk” corner. A senior menu for parents will also be opened as well. For senior customers around the age of 60, exclusive recommendation contents for health and hobbies as well as home-training/ travel recommendation service linked to life-style will be provided. “Every-sing TV”, which is a karaoke service that all family members can enjoy, will be introduced as well. “Every-sing TV” is an extension of SM Entertainment’s karaoke application “Everysing” to IPTV. New songs that are updated every day can be sung through the IPTV service. A separate microphone can be connected for use as well. Such services will be sequentially updated for each set-top box starting on the 16th. 아메바는 현대모비스의 '디지털 클러스터 신기술'에 대한 GUI Design 진행 하였습니다. 현대모비스는 자율주행차의 핵심 주행정보 표시장치인 '디지털 클러스터' 시장에 본격 진출합니다. 클러스터는 속도와 주행거리, 경고 알람 등 주행정보를 표시하는 계기판으로 운전자와 자동차를 연결하는 운전석의 핵심 부품입니다. 현대모비스는 고해상도 디스플레이를 탑재해 식별 능력을 강화했고, 중앙처리장치 소프트웨어를 독자 개발해 핵심기술의 자립도를 높였다고 설명했습니다. 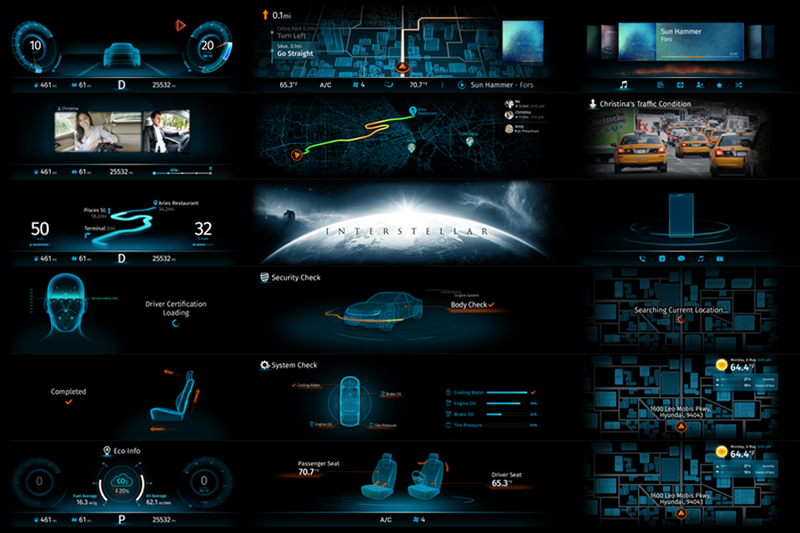 Amoeba executed GUI design about ‘new digital cluster technology’ of Hyundai Mobis. Hyundai Mobis will make full-fledged entrance into the market of ‘digital clusters’ which are key devices of self-driving cars showing travelling information. Clusters which are dashboards showing travelling information, including speed, travelling distances and warning alarms, are key components of driving seats connecting drivers and cars. 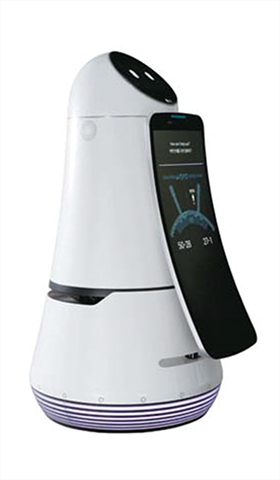 Hyundai Mobis officials explained that they strengthened the recognition ability through equipping high-resolution displays and raised independence of core technology through developing new CPU (central processing unit) software. SBS 미디어 그룹의 가치를 효과적으로 커뮤니케이션할 수 있는 채널의 통합적 이미지 구축을 목적으로 새로운 그래픽 모티브를 개발하였습니다. SBS의 Logotype에서 뽑아낸 그래픽 모티프는 기존 정체성을 계승하는 동시에 과감하게 돋보이는 새로운 SBS의 지향가치를 보여줍니다. Amoeba developed a new graphic motive in order to establish integrated images of channels which can effectively communicate values of SBS Media Group. Graphic motives taken from the logotype of SBS succeed the existing identity and show new remarkable values oriented by SBS at the same time. 2016 CES 출품작으로 자율주행자동차의 운전석을 구현하여 SCC,AEB,LKAS 등, DAS의 첨단 기술을 관람객들에게 직접 체험 실제 도로환경에 AR정보를 CG로 표현하여, 리얼한 운전 환경 제공하였습니다. As an entry for 2016 CES, the company has provided real driving environment through materializing a driver seat of a self-driving car, making viewers experience advanced technology of DAS, such as SCC, AEB and LKAS, and expressing AR information using CG in actual road environment. 인천공항에 설치된 안내로봇의 GUI 화면 개발을 한 프로젝트로, 사용자가 선택한 인천공항내 각 지점까지의 길 안내, 함께 사진찍기 기능, 평창 올림픽 홍보용 기능 및 평창 올림픽에 참가하는 선수단 환영 인사 메시지 및 홍보 영상 재생하는 기능을 제공합니다. This project is about development of guide robot GUI (graphical user interface) screens installed in Incheon International Airport. These screens provide functions to show ways to each branch office in the airport chosen by users, to take pictures together, to promote the Pyeongchang Olympics, and to play greeting messages for welcoming teams participating in the Olympics and promotional films.